With the team of quality experts, we procure a quality range of Monomethyl Aniline from the trusted vendors of the market. It is obtained from peppermint and generally found in small crystal form. Our product is widely being used in the production of cosmetics, medicated creams, toothpaste, mouthwash, gum, pain reliefs, shampoos, conditioners, liniments, shaving creams, oral sprays, medicated oils, and cooling gels. Delta Chemsol, one of the leading suppliers, distributors, importers and traders of this highly commendable and diverse range of Chemicals and Compounds Products, established its operations in the year 2009. 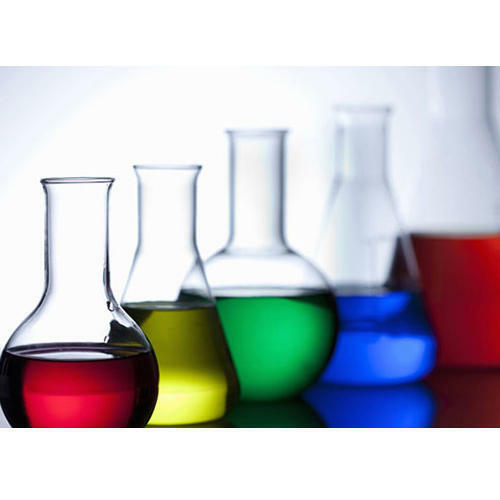 The offered range is made up of the finest Industrial Chemicals, Finishing Chemicals and Specialty Chemicals, which have a high demand in the market. Processing of this range is commenced as per the set FDA norms and guidelines, by trusted vendors, utilizing the finest ingredients, in the best possible combination. This ensures the product’s pH level, effectiveness and shelf life. Further, the offered range marked at the most reasonable rate possible. We are importing our products from China, Malaysia and Thailand. The highly modernized warehousing facility at Delta Chemsol, has been equipped with all the machinery and equipment, needed for the facilitation of the attainment of a number of the firm’s predefined targets. To attain a better position in the market, the facility is known to be upgraded on a highly regular basis. For managing the operations of the firm in the best possible manner, the facility has been compartmentalized. The facility highly spacious in nature and resistant to several natural calamities, help us preserve the goods for a longer period of time. Further, our ethical work practices, has helped us generate a huge and highly reputed client base.